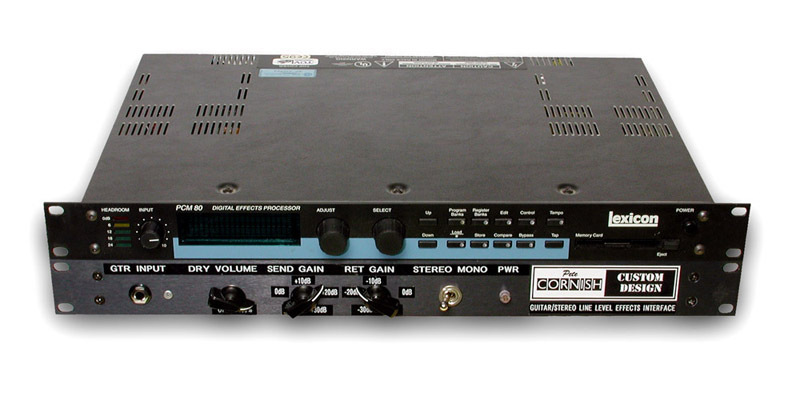 This unit is designed to be used with a Studio Line Level Stereo Effects unit (like the Lexicon PCM80 shown) and still provide Guitar level signal, in mono or Stereo, to one or more regular guitar amps without the inherent problems usually associated with hum loops/wrong signal levels/hiss and other noises. It features one Hi Impedance Guitar input, a Dry Volume control, Effects Send with a gain range of +30dB/-10dB, Stereo Effects Return with a gain range of +10dB/-30dB, a Mono/Stereo selector, two Ground Lifted amp feeds one with Phase Reverse and Ground Lift switch. Fully stabilized ac/dc power supplies suitable for 115/230VAC 50/60Hz. 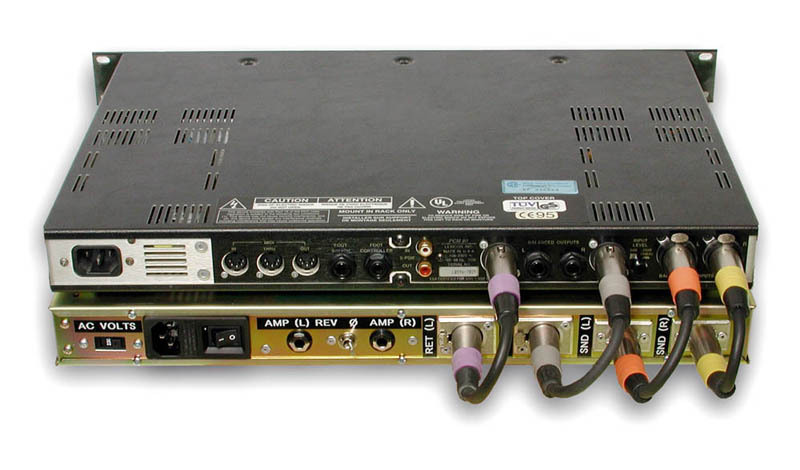 Although a single stereo channel is shown, any number of separate line level effects units can be incorporated in a larger unit.